Tre Pievi Real Estate Agency is a very experienced, long-operating and prestigious agency specializing in the entire Lake Como region. The agency can satisfy every accommodation need, whether buying, selling, from apartments to villas, from homes to building land. It is not by coincidence that international VIPs have bought homes and organized events and functions in the area. For many years we have been selecting real estate for an exclusive and knowledgeable clients. In addition to the traditional German, French and English visitors, recent years have also seen Americans and Eastern Europeans. Even Italians are gradually rediscovering the wonders of this place and the appeal of elegant, well kept homes. For us it is a matter of pride to know how to service our clients in a complete (before, during and after purchase or sale) and competent manner. By calling ahead for an appointment, you may visit us in our offices and view, without any obligation, the technical and photo documentation of properties and homes. The objective is to find the ideal home for the client by visiting selected locations together. The deal is considered complete only when the client is fully satisfied not only in terms of the financial, “technical” or living aspects, but when he/she obtains the added touch of comfort, assistance and service that only Lake Como area and we at Tre Pievi can offer. 1) What type of assistance do you provide Clients? “Our goal is to help you to fully appreciate your Lake property purchase”. * Opening an Italian bank account – asking the fiscal code (necessary to buy in Italy) administrating of local utilities. 2) Do you offer assistance and expertise for bureaucratic restructuring? We collaborate from twenty years with companies we trust to guarantee you accurate workmanship. If you are thinking of buying a property to renovate, we offer you qualified, precise and professional help. 3) Who do you go for repairs and renovations? For many years we work with artisans and companies who we trust, able to produce high quality work in the time agreed, indispensable requisite for work with our agency. 4) Who do you go for interior design? We work with companies with proven reliability to furnish any kind of internal, from apartments to the rustico to a super luxury villa. 5) Does the assistance you provide to clients includes also support of a professional translator? Our agency works with professional translators (English, German, Russian etc …) accredited under the terms of law. Our objective is to provide complete assistance and full satisfaction to our customers, from the sale to any kind of requirements. Our translators are in fact available to accompany you all day for any necessity, including Shopping. 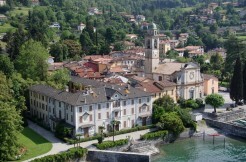 6) Which are the tourist attractions on Lake Como? There are many tourist attractions for all ages. During the day you can use our beaches, our surfing and sailing schools. Or you can walk along the lake or hiking in the mountains. Nearby there are B & Bs, farmhouses and typical Crotti, particularly pleasant on summer days. On the Lake you can find ristopub, discos, pubs, and also organized events and outdoor parties. 7) Are there facilities for health care? Gravedona’s Hospital is one of the most efficient in Lombardy, it has an heliport and it’s easy to reach. Menaggio’s Hospital s well known for orthopedics and rehabilitation therapies. 8) How far away are the ski slopes? 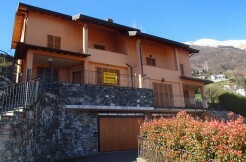 Madesimo ski slopes are 50 km from the Lake and are easily accessible within an hour’s drive. There are ski slopes of varying difficulty with efficient lifts and restaurant services. Otherwise, in an hour and a half’s drive you can get to St. Moritz. 9) What is the situation of roads and transport? Lake Como is easily reachable from abroad: the main airports (Orio al Serio, Linate and Malpensa) are 1 hour and 15 minutes away. Lugano airport is 40 minutes away. You can travel easily by conventional public transport also hydrofoils and ferries that cross the lake. 10) Which sports can be practiced? The lake is perfect for water sports: sailing, windsurfing, kite surfing and water skiing. It is also an ideal base for hiking trails and surrounded by nature and tranquillity: you can practice mountain biking, hiking, climbing and horseback riding. The equestrian centers also offer the opportunity for guided tours on horseback along the lake.